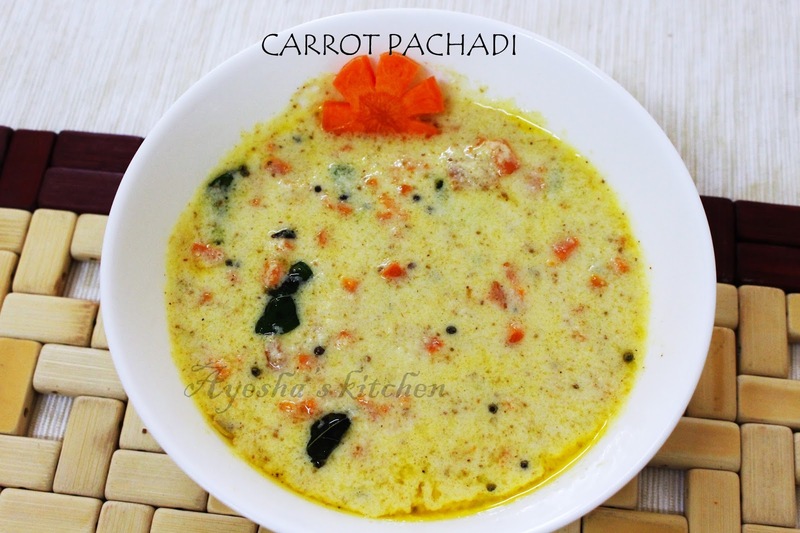 Pachadi / Raita is a South Indian salad with curd and coconut which is served as an accompaniment to meals. 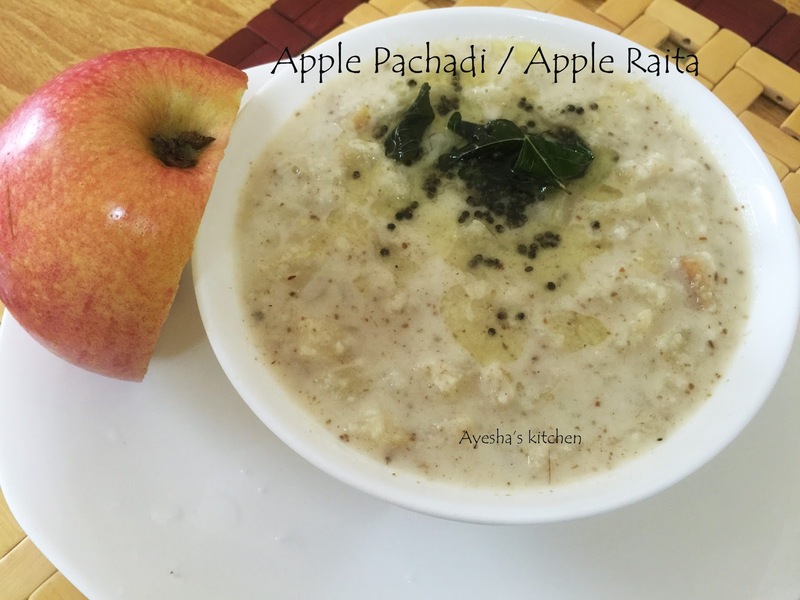 Here is an Apple Pachadi recipe / Apple raita recipe which is a sweet authentic side dish prepared during Onam sadhya in Gods own country Kerala, India. Some people called it as apple kichadi but both are different. For pachadi , we add yoghurt and coconut mixture. And for kichadi , only yoghurt is used. . Here is the recipe showing how to make Apple pachadi. Grind together coconut and cumin seed with a little amount of water in a mixer to a fine paste .Transfer it to a bowl. Then add curd to the grinder and just grind it for few seconds and mix it with the coconut paste . Mix well and now add the cooked apple to it. Again mix well and check for salt. Splutter dried red chilly and mustard seed in a heated pan with oil. Then add curry leaves to it. Pour it over the apple pachadi / raita.. Served as a sweet side dish in Kerala sadhya along with rice.